Making your vacation plans just became a whole lot easier when you search for your accommodations on our newly revised website. We supply you with quick links to homes with the most requested features. Such as homes with pools, pet friendly rentals and linen-ready homes. 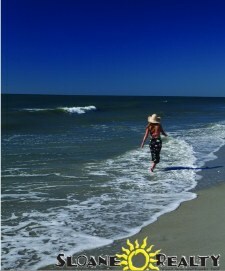 If it’s Ocean Isle NC vacation rentals you’re looking for, you will like what we have to offer. There are still winter rentals available at a discounted off-season prices. Come spend what’s left of winter on our warm oceanfront beaches and avoid the snow and ice of the north. You’ll be really glad you did. Ocean Isle NC vacation rentals provide you with comfortable, completely furnished accommodations that include kitchens, laundry, and separate living and dining areas that are in an environment that is both relaxing and rejuvenating. Wake each morning and start your day with a walk on the seven miles of beachfront you’ll find here. Have a leisurely breakfast on your deck or balcony while enjoying the surroundings that are sure to delight all of your senses. There’s just nothing else like the scent of saltwater in the air or the feel of the sun on your skin — especially this time of the year. And it is a new year so why not start it off in a brand new way. An off-season visit to the ocean provides you with uninterrupted time for meditation and the opportunity to truly appreciate the beauty that will surround you here. It’s a great way to re-start those resolutions you made to be healthy and get fit. If you’d like to talk with us about our vacation rentals you can reach us by calling toll free 866-931-5201. We look forward to talking with you!